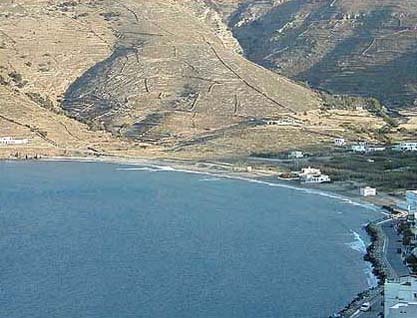 At the eastern coast in the Korthi area lies Mylos beach. 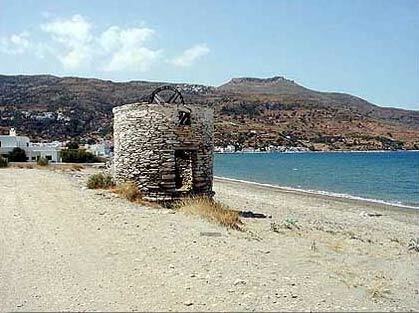 It is a sandy beach - good for fishing and there is an old windmill almost at the centre of the beach. 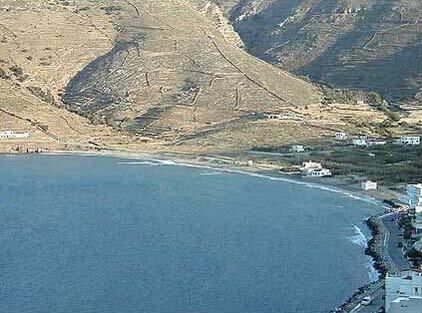 You can reach it from Ormos on the road to the South.